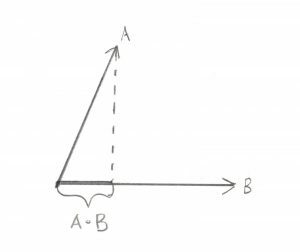 Okay, for this post let’s finally stop talking about the Philosophy behind the class design, and instead look at some math. We’re going to start with the basics of Vector Math and build up a working vocabulary of what we can do with it. v1 and v2 have the same direction, which is directly along the x axis. However v1 is 1 unit long, while v2 is 2 units long. v3 has the same length as v1 (1 unit) but its direction is different, it’s along the y axis. You’ll remember from my post about Points and Vectors that while Points also have 3 floats, their meaning is different. 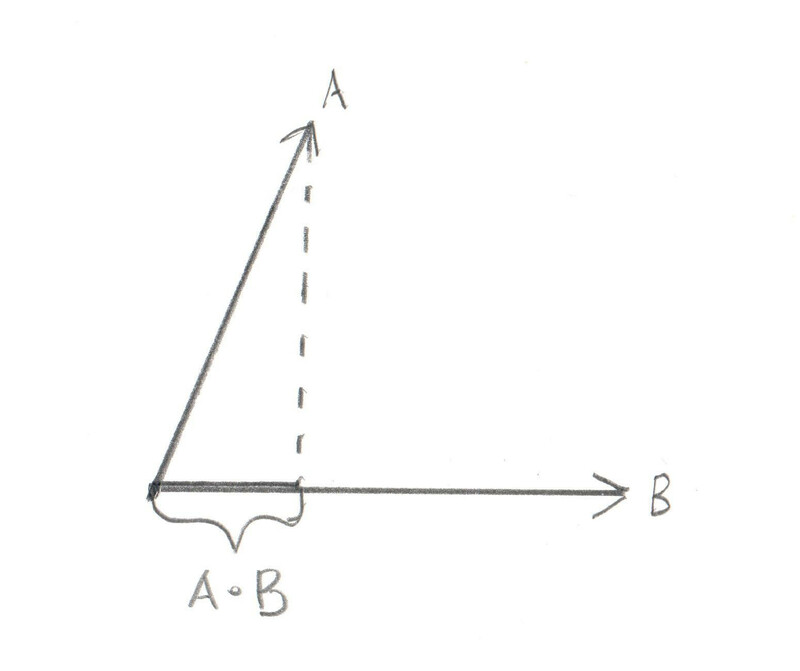 A Point does not represent a direction and magnitude, it represents a position in space. Not much magic here, this shouldn’t be very surprising. If you’re unfamiliar with this code you may be wondering why there’s a float length_squared() function. The reason is an optimization. Now I’m definitely not one to optimize prematurely, and I have never actually profiled how much more time it takes to perform the extra square root functions, however there are times when you really don’t care how long the actual length is, you just need to compare it to another Vector’s length. 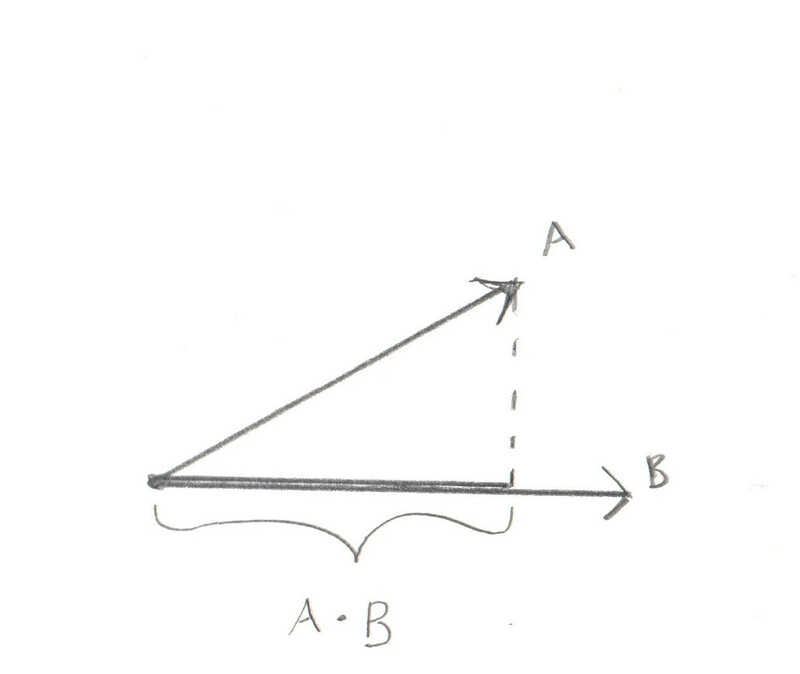 For example, given three Vectors A, B, and C is the length from A to B longer then the length from A to C? We don’t care what the length is, we just need to know which is longer. Comparing the length_squared will get us the same result. Okay, now let’s move on to something that you might not remember so well from High School Math, the dot product and cross product. So the math isn’t so daunting, but what do these things mean? Well that starts to get interesting. In the first image you can see that the two Vectors mostly overlap each other, so the dot product is “big” (again, not worrying about the actual numerical value). In the second image, the two Vectors don’t overlap much, so the dot product is “little.” By checking to see if the dot product is “big” or “little” you can start to get an intuition of how much the Vectors overlap. 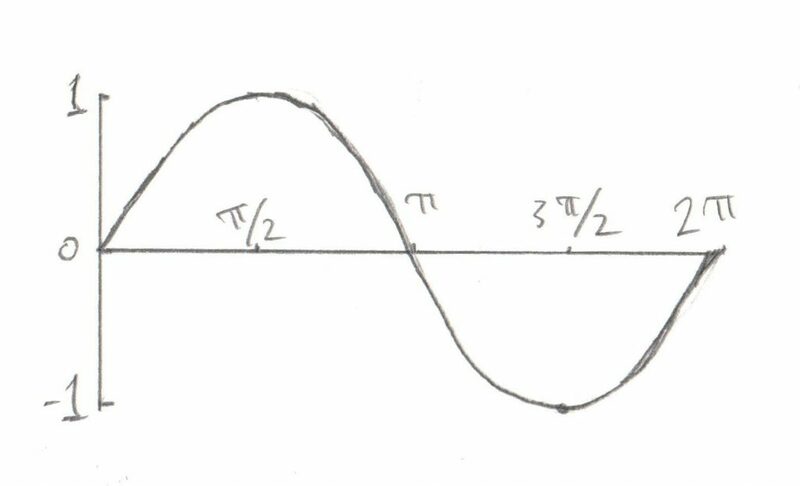 What if the Vectors don’t overlap? In this case the dot product will be negative. How is this useful? Turns out it’s really useful. Let’s say you’re writing a space ship video game (I love space ship video games) and you have one Vector pointing directly forward from your ship. Then you have another Vector pointing towards an attacker. Is the attacker in front of you or behind you? Seems like a pretty important thing to know. 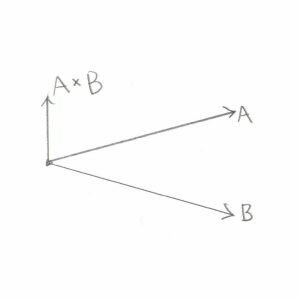 Well if the dot product of the two Vectors is positive then the attacker is in front of you. If it’s negative then the attacker is behind. 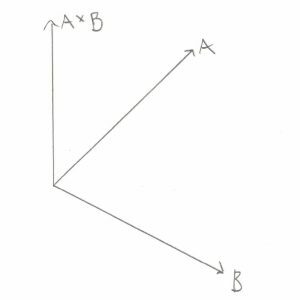 Now think about our two Vectors. 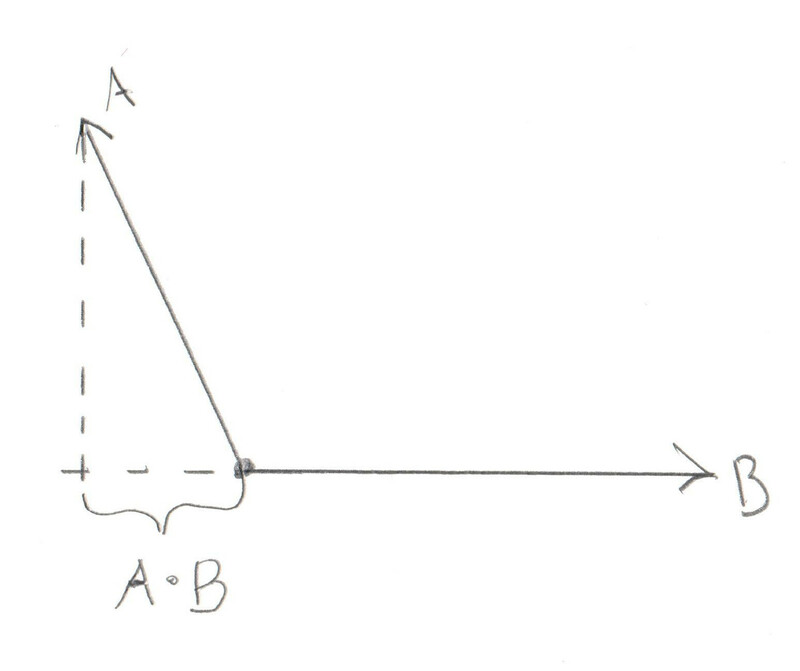 If the angle between them is 0 then they completely overlap, so the projection of one Vector on the other is exactly the length of the Vector itself (so when you divide it by the Vector length you get 1, which corresponds to our cosine table). 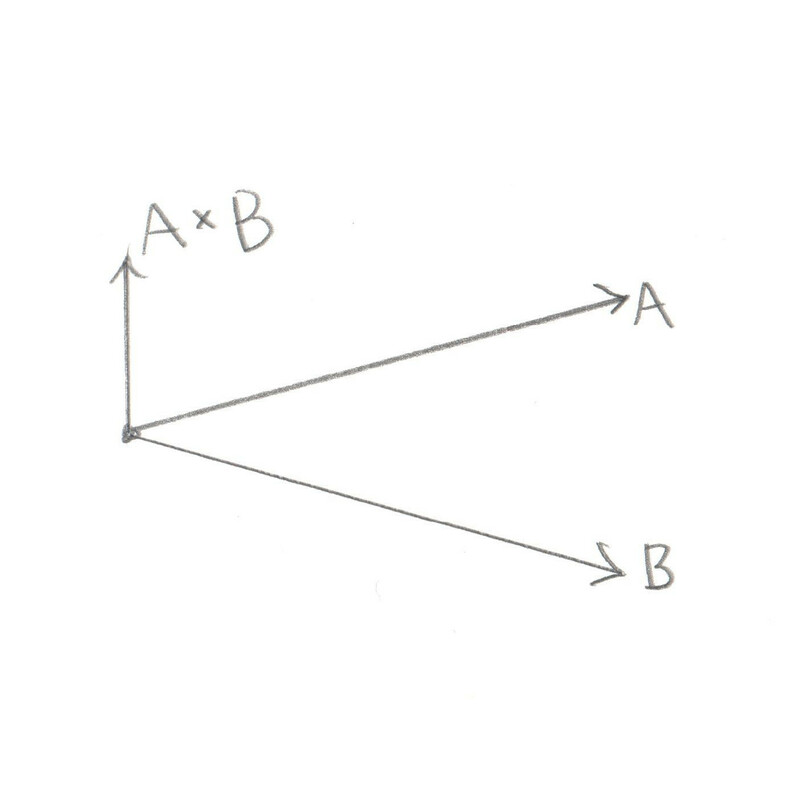 Now how about if we look at the dot product of two Vectors at 90 degrees to one another. 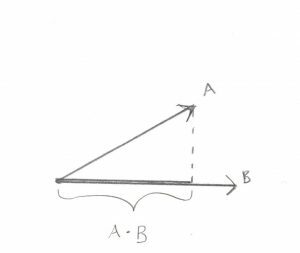 There is no overlap at all, the length of the projection is 0, which is exactly the value of the cosine of 90 degrees from our table. 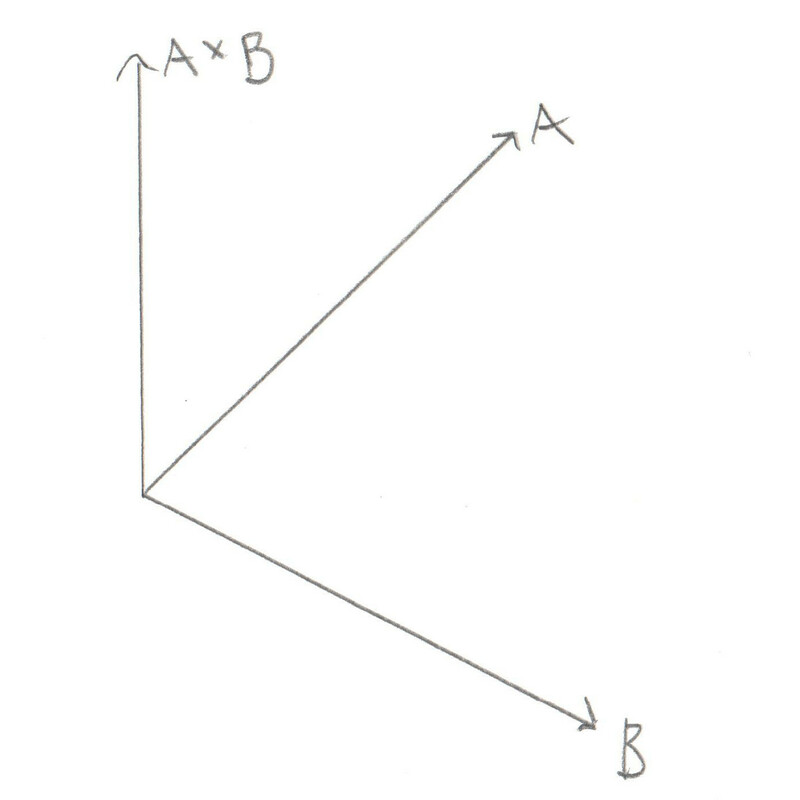 If the two Vectors point in exactly the opposite way from one another, then the overlap is negative 1, etc etc. I don’t want to kick this dead horse, but getting an intuitive feel for this will be very helpful. If you feel like your head is spinning a bit, get yourself a pencil and paper and re-read this section while drawing out your own examples. Trust me, it’s worth the time to have a feel for this. So how is this useful? Well to understand that we need to understand Rotation Vectors, which I will be covering in a later section. 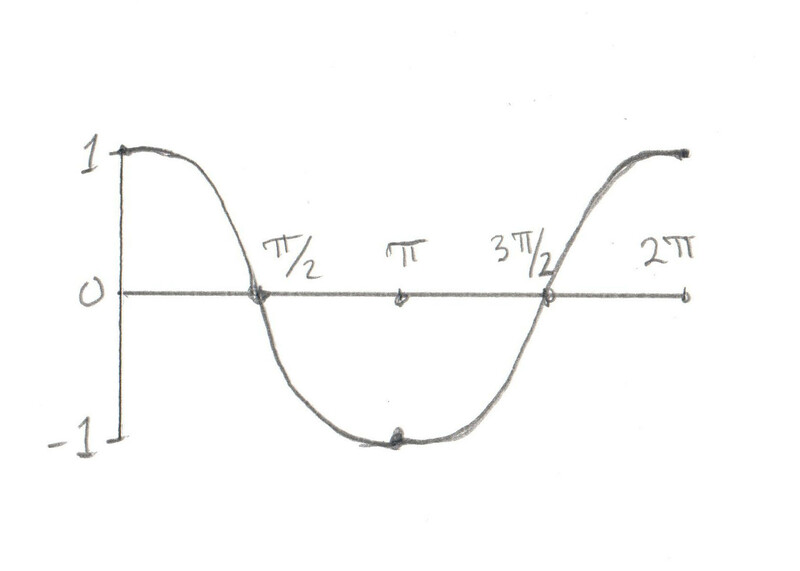 I don’t want to confuse this section too much, so for now just trust me that the cross product is helpful. 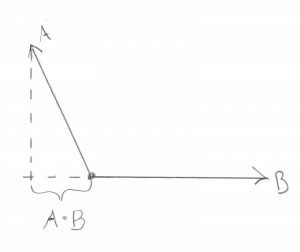 After you’ve read about Rotation Vectors, come back here and see if you can figure it out.